I was out shopping with a dear friend last week. 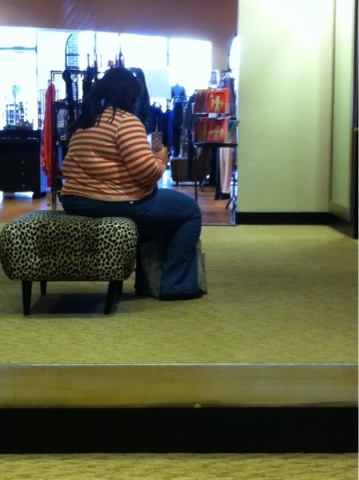 While waiting for her to try on a shirt, I caught a glimpse of something out of the corner of my eye. I was even rocking my fav new striped shirt. Feeling good. Feeling stylish. I even had a couple of ladies tell me I was looking very stylish with my orange stripes paired with a pop of bright teal and pink on a chunky necklace. Little did I know how frumpy I looked. Until I saw my reflection.